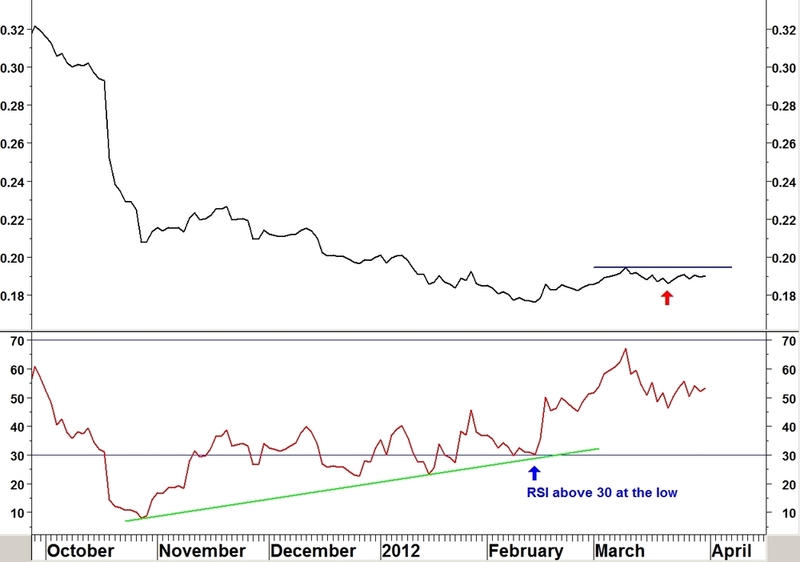 This week I’ll show a gold stock: Agnico-Eagle Mines (AEM) with a bullish 14 week RSI divergence against the S&P500 Index. 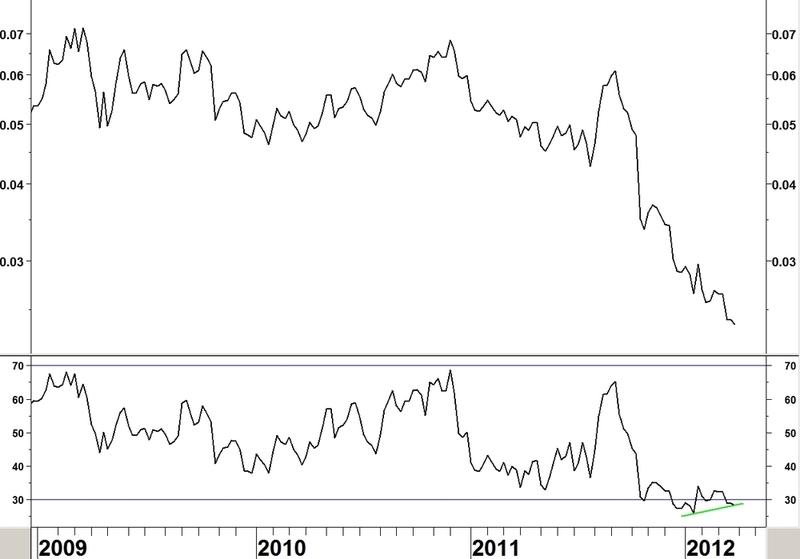 Gold stocks have dramatically underperformed the S&P500 Index since September 2011. The daily ratio chart shows the other criteria being met. 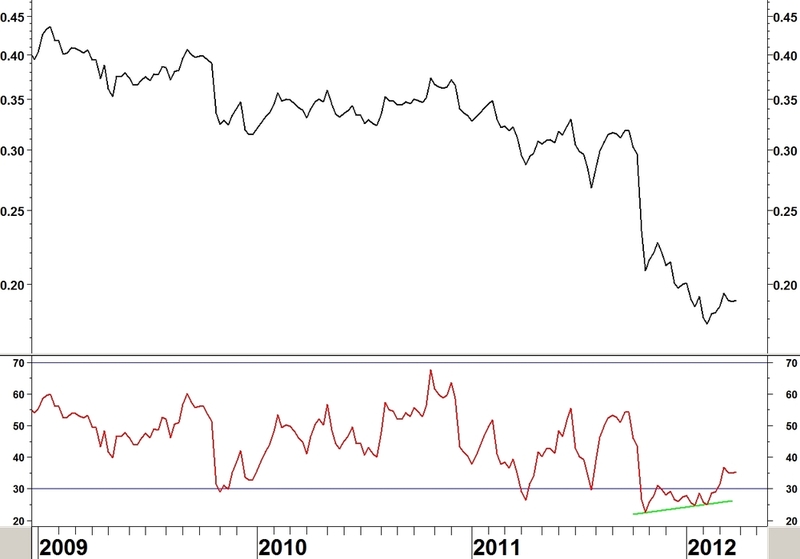 Last Monday’s idea hasn’t worked so far [buy iShares Broker Dealers (IAI) versus iShares Emerging Markets (EEM)]. It hasn’t been proved wrong yet and is nowhere near its stop but you can often tell which ideas will work by how the trade starts off.